Tuesday was the monthly meeting of my long arm quilting group. 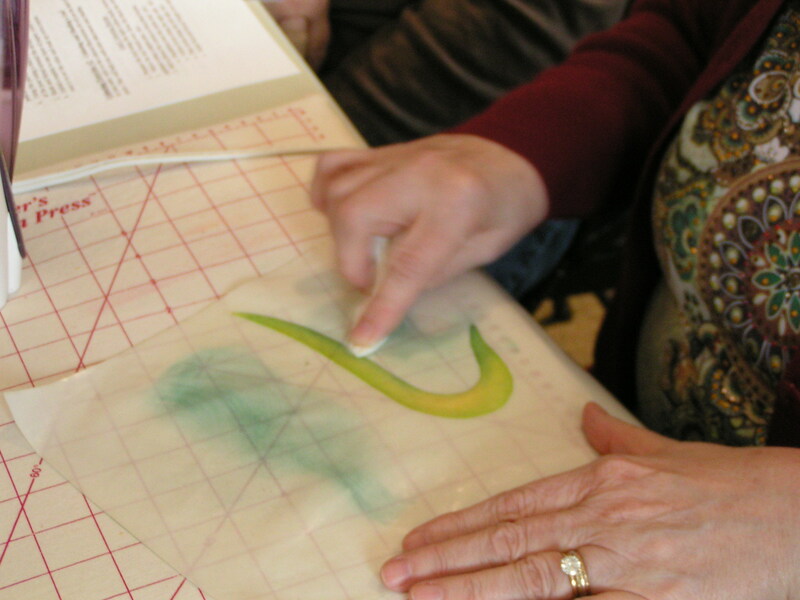 We are all professional long arm quilters meeting each month to share tips, techniques, discuss problems and success. Needless to say this usually means actual quilting discussions. This time we got to be little girls playing with crayons. BIG boxes of crayons, lots and lots of colors. 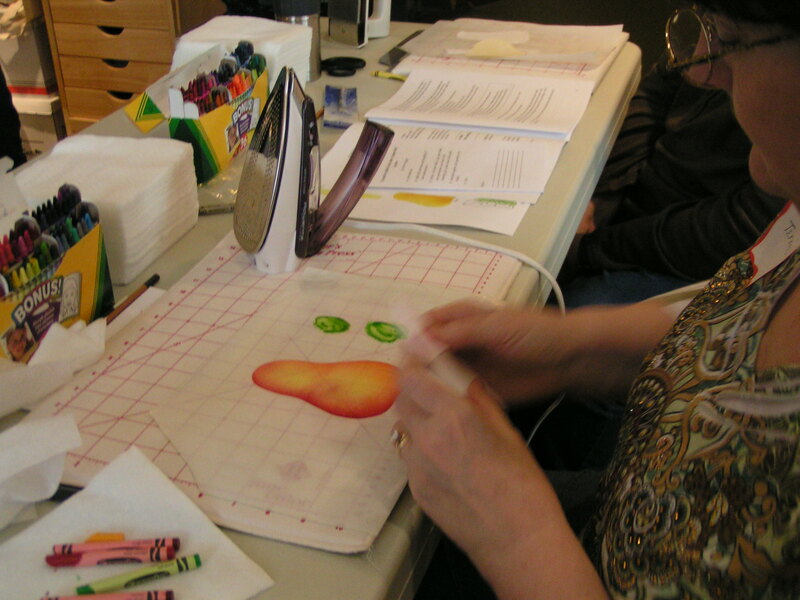 We all gathered for a workshop led by Terrie Kygar who is the author of Creative Quilts from Your Crayon Box. 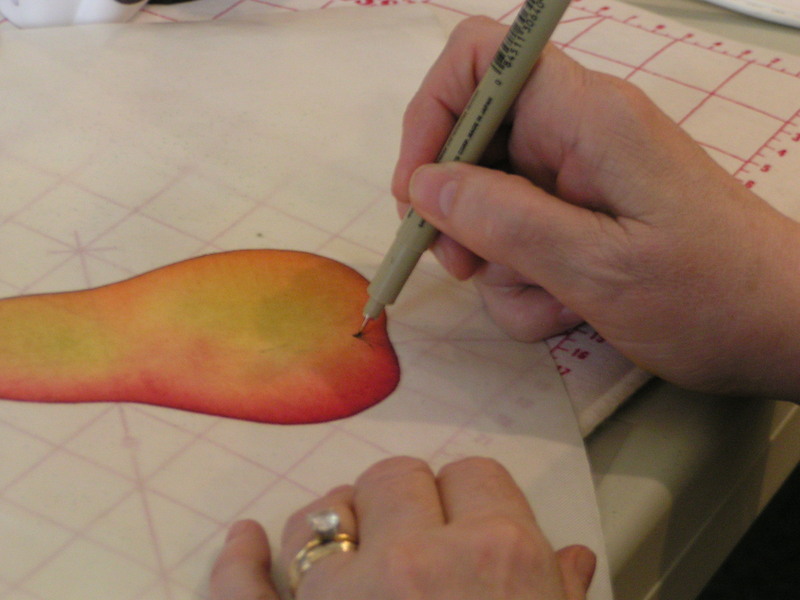 Terrie has developed a method of painting with crayons totally different from any I have ever seen. We actually melted the crayons into little puddles and then blended them onto fabric. 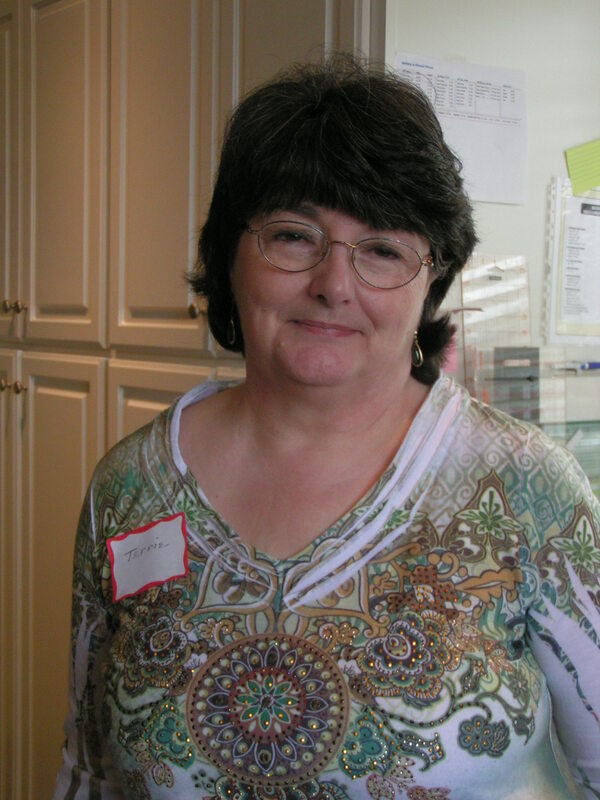 This is Terrie, thanks for the fun day! 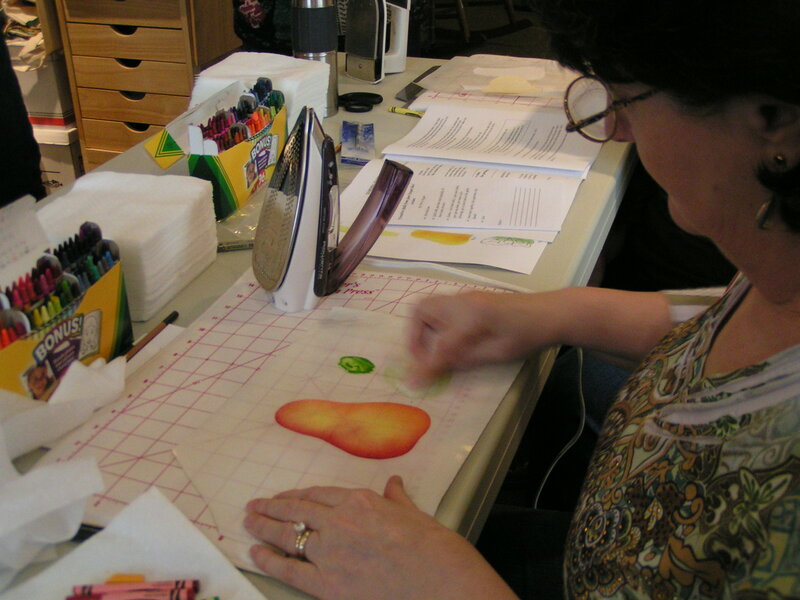 First the fabric is cut out into the applique shape, in this case a pear, and placed on an applique sheet. 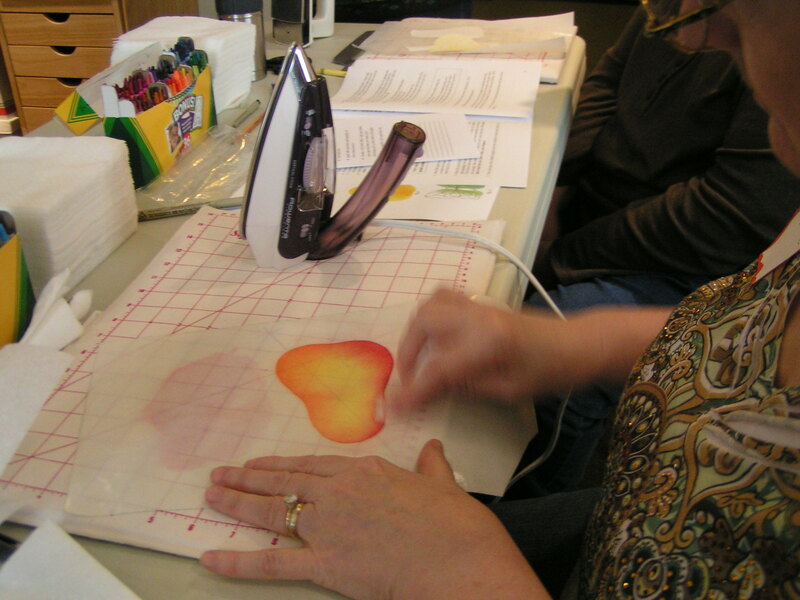 We then heated the fabric and applique sheet with the iron to get it very hot. 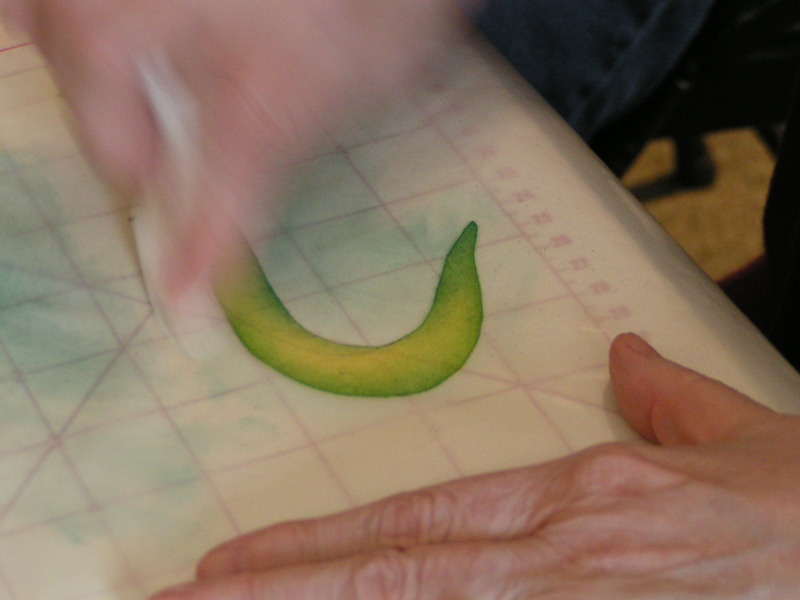 Rub the crayon on the applique sheet and it melts. Look at the puddle of melted green crayon. Using a folded napkin, a very high tech tool, the melted crayon is picked up onto the napkin. We also did a turned leaf shape. Think of a day lily or daffodil leaf. 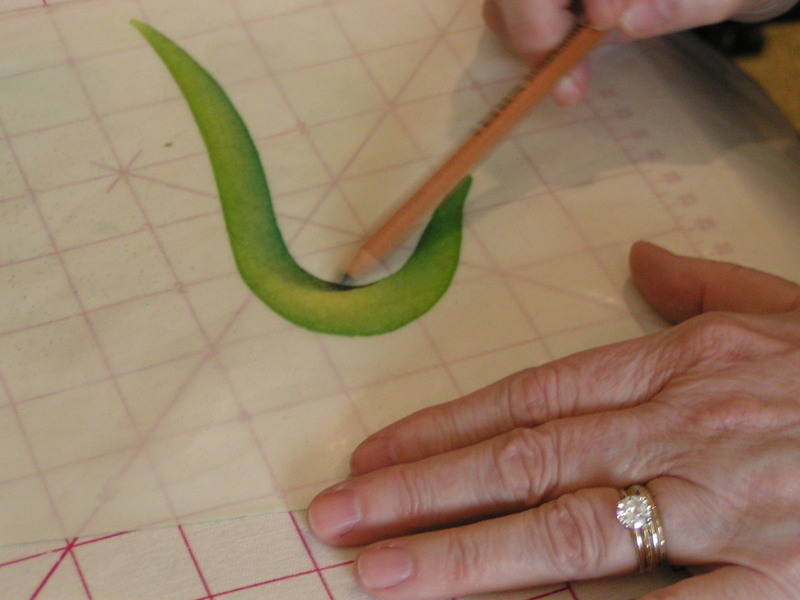 Each picture shows the progression of shading and the detail where the leaf turns. The shadow makes it look so real. Here are our completed projects. 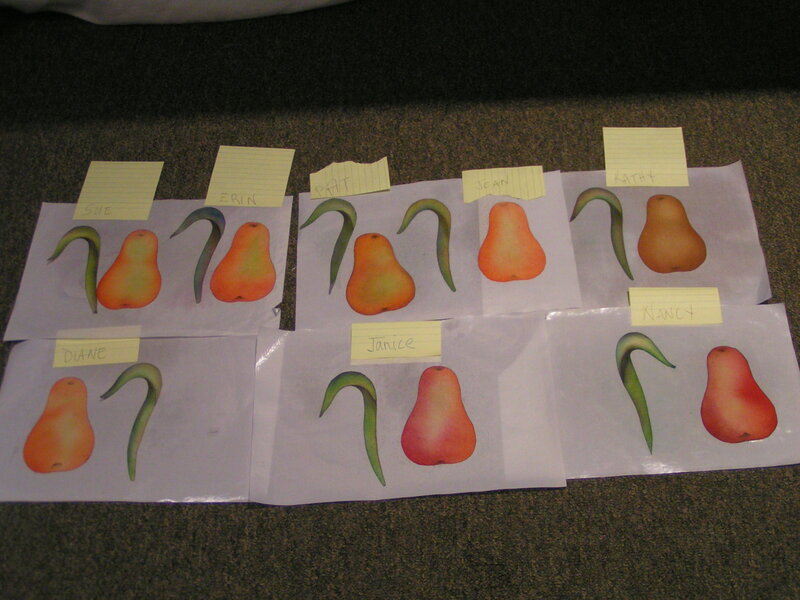 With the exception of the Bosh pear, we all used the same crayon color for our shading but what a different look each one has. 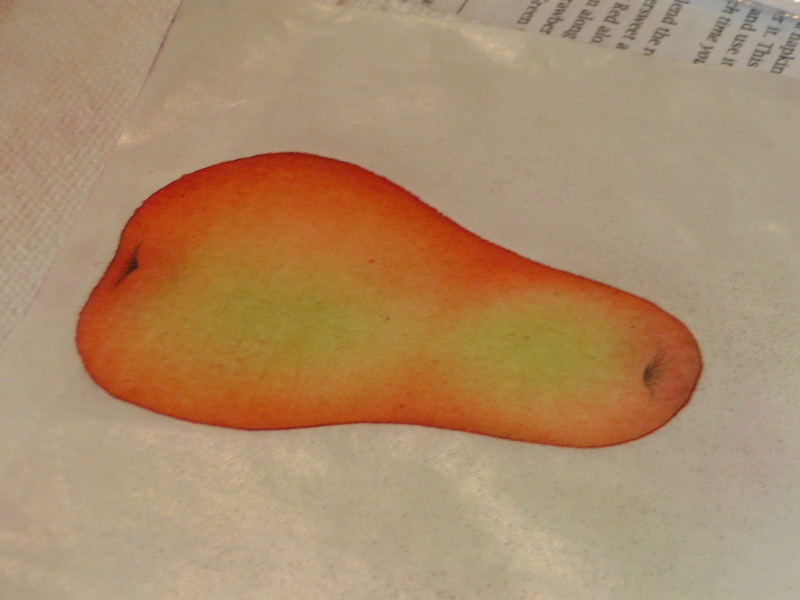 Looks pretty much like a pear to me! This was a fun technique which I highly recommend you try. Totally different, easy, inexpensive materials. 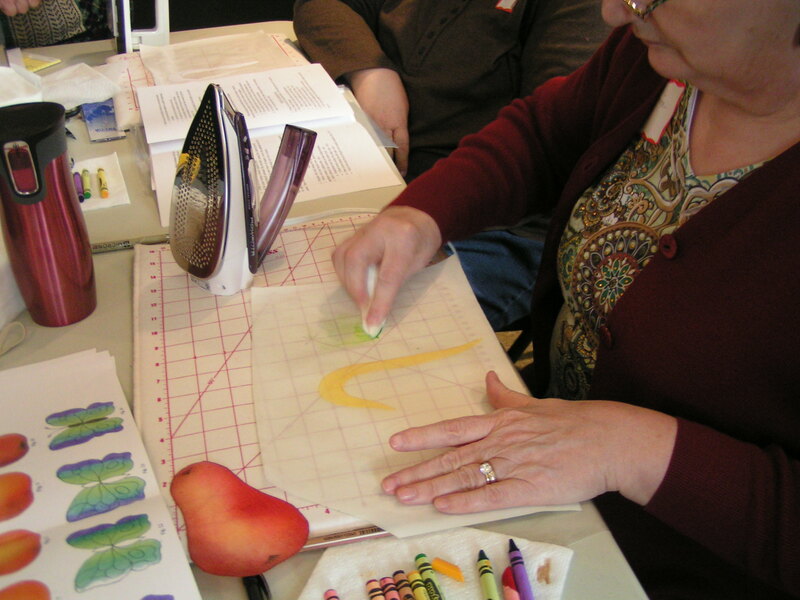 Terrie’s book walks you through each step right down to the color of crayon to use and the order to use it in. I am scheduling some time to make a little quilt, hope you do to.